Aortic Hope would like to give a "Shout-Out" to other individuals and organizations within the community. ❤️ We are so excited to announce that we are helping the John Ritter Research Program for Aortic and Vascular Health at UTHealth in Houston with their research endeavors...and YOU CAN TOO! ❤️ Please consider participating in this research study to help find alterations in genes (genes are responsible for providing instruction to the body on how it should grow and develop) that trigger aortic dissections so this information can be used in the future to identify individuals at risk. 💗 If you would like to learn more about the study or how to participate, please contact Ellen Hostetler at the John Ritter Research Program by phone at 713-500-6843 or by email at ellen.m.hostetler@uth.tmc.edu. Please note that you do not need to travel, or even leave your home to participate! Aortic Hope is so excited to announce that we will be collaborating with The Society of Thoracic Surgeons on various programs and campaigns that will allow public access to experts, spread awareness about aortic disease issues, and provide patient education to thousands of people. Founded in 1964, The Society of Thoracic Surgeons is a not-for-profit organization representing more than 7,500 surgeons, researchers, and allied health care professionals worldwide who are dedicated to ensuring the best possible outcomes for surgeries of the heart, lungs, and esophagus, as well as other surgical procedures within the chest. Mission: Enhance the ability of cardio-thoracic surgeons to provide the highest quality patient care through education, research, and advocacy. Vision: Improving the lives of patients with cardio-thoracic diseases. Core Values: Quality, Innovation, Professionalism, Inclusiveness, Teamwork. 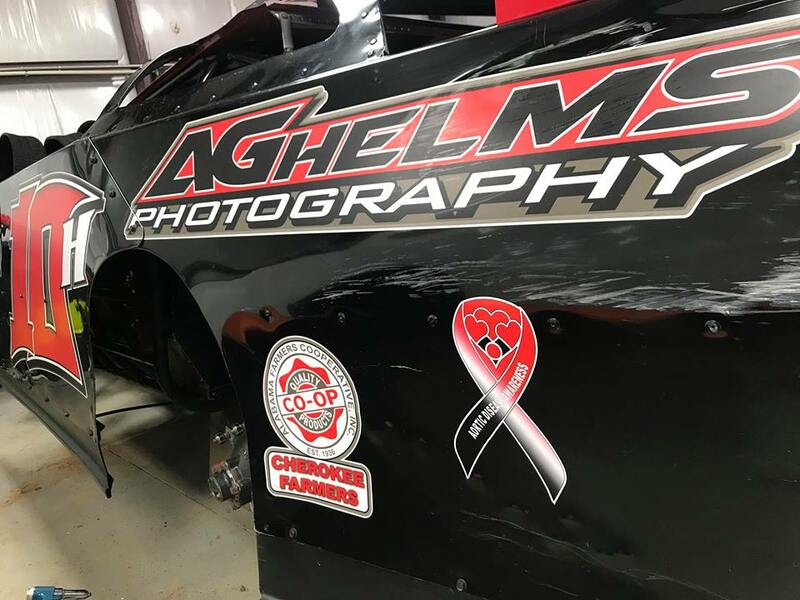 🎉 We are very excited to announce that Jeff Helms, caregiver of aortic dissection survivor Andrea Garrett-Helms, will be racing in the Cabin Fever40 at Boyd's Speedway! Aortic Hope, Inc is proud to be one of Amazon’s charity partners! When you are ready to shop with Amazon, log into smile.amazon.com, and choose Aortic Hope from the list of charities and we will receive 0.5% of your qualified purchases directly from Amazon! It's that simple so log in and say "cheese"...smile with Aortic Hope today!